George R.R. 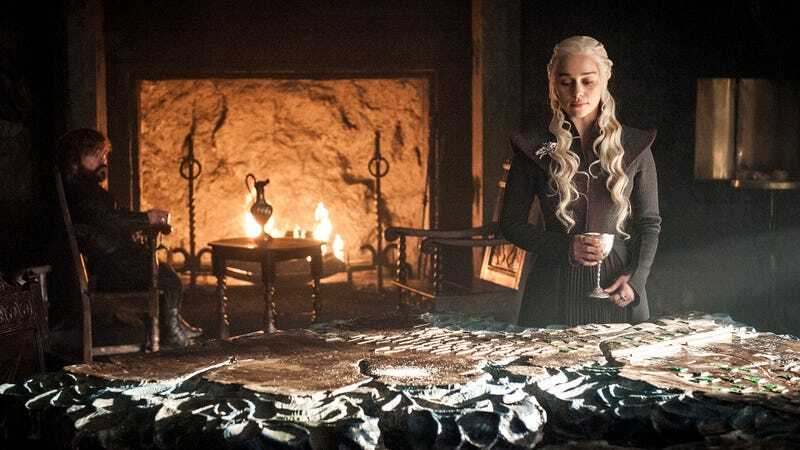 Martin has shed some light about the fifth Game of Thrones prequel that he and GoT producer Bryan Cogman have pitched to HBO, which includes the depth of his involvement. And it’s a lot. In a post on his LiveJournal, Martin revealed that he’s not just writing the series pitch with Cogman, he’s actually a co-creator of the show idea as a whole. While vaguely describing the pitch, he did call it an adaptation, which likely means it’s something that exists, on paper, in the A Song of Ice and Fire canon, as opposed to an entirely new in-universe concept. “Bryan’s series will be an adaptation, and one that will thrill most fans of the books, I think, set during a very exciting period of Westerosi history. And I’ll be working with him every step of the way,” Martin wrote. Martin is involved in all of the Game of Thrones prequel pitches, helping with writing and consulting, but this is the only pitch I’ve seen him discuss from the point of view of an actual co-creator, which is really exciting. Fans who have been dismayed at how Game of Thrones creators D.B. Weiss and David Benioff have handled moving past the books might feel relieved knowing Martin looks to be involved every step of the way on this one. And then, of course, there’s his collaborator, who Martin could not stop praising. Martin called Cogman Game of Thrones’ unofficial “Keeper of the Lore,” with a knowledge of ASOIAF canon that rivaled (even exceeded) his own. No surprise, since Cogman has been involved with the show since the very beginning, as both a writer and producer. “If [Weiss and Benioff] have been the kings of Westeros for these past seven seasons, Bryan Cogman has surely been the Prince of Dragonstone,” Martin wrote.